There’s this certain fear you feel, going into a book by Jay Kristoff, because he has this undeniable talent to make you FALL FOR and truly GET INVESTED in the lives of the characters on his pages, and then in just a SNAP, kills them off, leaving you reeling and heartbroken. Of course, books that break me are also my favourite kind of books to read, so here we are. I finished reading this book MORE THAN A WEEK AGO and I’m only now sitting down to write my review because WHAT EVEN WAS THAT BOOK AND WILL SOMEONE PLEASE HAND ME THE NEXT ONE, THANKS. 1. THE CHARACTERS, ALL THREE CATEGORIES OF ROBOT INCLUDED: I mean, HOLY CRAP. I loved Evie and Ezekiel and Lemon Fresh and Kasier and Cricket and JUST ABOUT EVERYONE ELSE. EVEN THE BAD GUYS. Well, maybe not the bounty hunter, but I DID love all the Lifelikes. I also loved the PURE SASS that each and every one of them had, especially Evie, calling Ezekiel ‘Brain trauma’ and each time they got into a bad situation, which was the whole book, really, how they would STILL BE SASSING EACH OTHER OUT WHILE KILLING BAD GUYS. 3. THE COVER: The more I read in the book, the more I realised the significance of the (UK) cover to it all. It’s just SUCH A GORGEOUS COVER AND I CANNOT STOP STARING. 4. Ezekiel: I love LOVE this Lifelike in particular. I love the way he fight, his power, his determination and his loyalty. It was just such a pleasure, getting to know him and also unravel all his lies as the book went on. I LOVE THE MORALLY GREY NATURE OF ESSENTIALLY EVERY CHARACTER IN THIS BOOK. They’re all so messed up, and it felt so real and human and I loved it. 5. MACHINE VS HUMAN: I loved the debate this book strung, through the Lifelikes, about how ‘human’ machines are. It was such a heart wrenching thing that I honestly didn’t expect. It made me see this book (and AIDAN, from Illuminae, TBH) in a completely different light. WOULD I RECOMMEND THIS BOOK? Without a doubt. Lifelike was a crazy, brilliant marvel of a book that has twists within its biggest plot twists, robots that seem human, kraken, bounty hunters, girls with the power to bring down machines with their minds and flying houses. It honestly doesn’t get better than this post-apocalyptic MASTERPIECE and I will NEVER STOP RECOMMENDING IT. 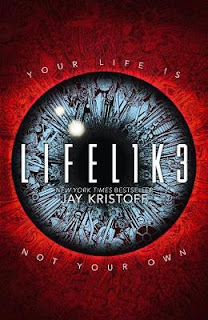 Jay Kristoff is the #1 international, New York Times and USA Today bestselling author of THE NEVERNIGHT CHRONICLE, THE ILLUMINAE FILES, LIFELIKE and THE LOTUS WAR. He is the winner of five Aurealis Awards, an ABIA, has over half a million books in print and is published in over thirty five countries, most of which he has never visited. He is as surprised about all of this as you are. He is 6’7 and has approximately 12,000 days to live. 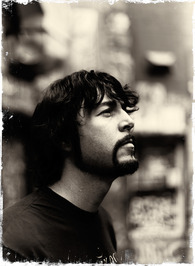 ARE YOU A JAY KRISTOFF FAN? Which book of his is your favourite? 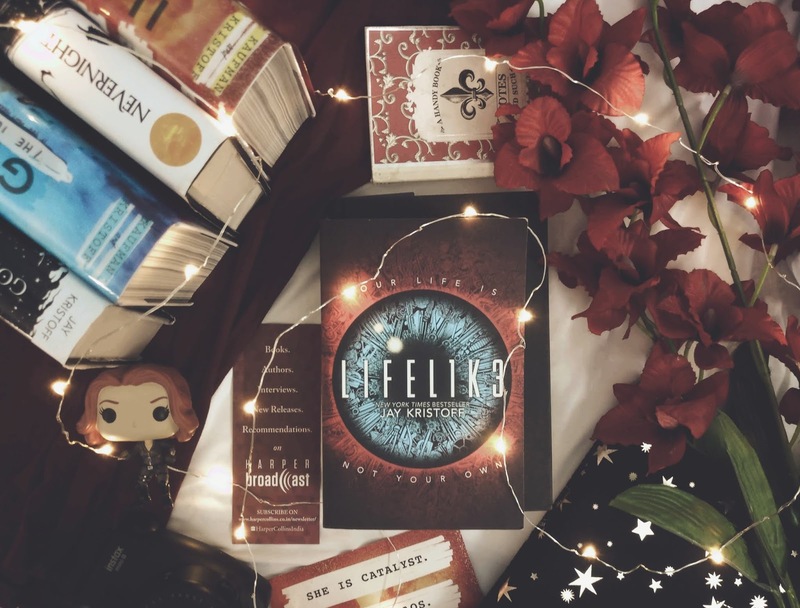 Have you read Lifelike? What do YOU think of it?